The v7.20 Fortnite update pushed on January 15, and data miners were able to dig through the files to find warning images, hints towards a new event, and challenges. Epic released the Fortnite v7.20 patch on January 15 and data miners have already found upcoming skins, cosmetics, and weapon wraps. Fortnite leaker s1l0x posted three images, a banner, a consumable, new challenges, and hints towards a new in-game event. 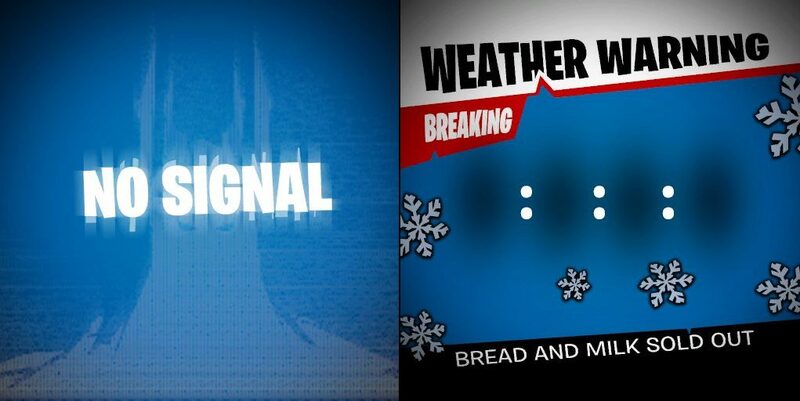 The “No Signal” image could hint towards something we have seen before on TVs in Fortnite, and will likely be apart of the rumored Ice Storm event. The other two images hint players toward a “weather warning” with icons of snowflakes sprinkled across the graphics. 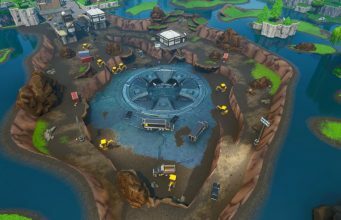 Another popular Fortnite leaker, Lucas7yoshi, was able to find another set of files codenamed “Mooney”, which includes an Ice Sphere that is now above Polar Peak. According to the in-game files, the ice sphere will break apart during the in-game event. Lucas7yoshi also posted five different animations which could hint more towards the Ice Storm event. Some Fortnite fans believe that the new event will lead towards a new LTM featuring the Ice King, where he is featured in Week 7 and 8’s loading screen. There is still more information coming in as data miners look through the rest of Fortnite’s v7.20 update, so be sure to keep up here at FortniteINTEL!